We just got in a bunch of really cute and practical shorts for baby boys. Take a gander at some of the cute styles we now have in the store. 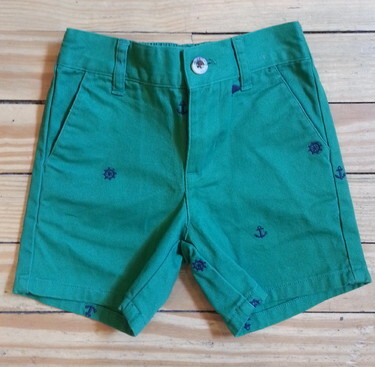 Bright green sailor shorts by Janie & Jack. Check out this adorable cardigan for those cool summer nights. Not really for a baby, but it was too great not to share.